These towels are amazing as they have multiple uses, they are great with ONR (Optimum No Rinse), great for removing detailing products, good for removing compounds, polish and wax. They are edgeless so you don't have to worry about the edges scratching your paint. The two sides of the towels have a little different plush which is great as you can use one side to wipe your detailing spray and then use the other side to buff it out. The service at Towel Pros is off the charts and something you rarely see in this day and age, Rob went above and beyond in answering my thousand and one questions so I was sure I was getting the right towels for my current needs. It is great to still see companies out there that truly care about customers service and quality products. Towel Pros will be the only place I purchase my detailing microfiber from now as the towels are top notch, the customer service is beyond amazing and the price can't be beat. If you are on the fence thinking about g etting your towels from Towel Pros stop all the searching around and place your order you will not be disappointed and once you get your order you will be asking yourself why you didn't do it sooner and will be wishing you found Towel Pros sooner. Hands down the best place out there to get your detailing microfiber towels from for too many reasons to list, but a few that top my list is you will not find better customer service, best prices by far and the towels are top notch!! Doing it right It is a rarity these days to discover a company doing business the way you would do it. Towel Pros is a friendly, professional, responsive operation that I suspect will be around a long time. Great glass towels The glass towels are awesome. I ordered new cleaning formulas also but have not used them yet. I am sure they will be great. I have been happy with my other orders also. Amazing towels for an amazing price! Great selection, great customer service, great products, all around great experience. Will buy from again! No need to shop elsewhere! Not my first order with Towelpros.com, and will not be my last. Rob offers high-quality microfiber towels at great prices, and offers the quickest service possible. Orders are always processed at lightning speed. 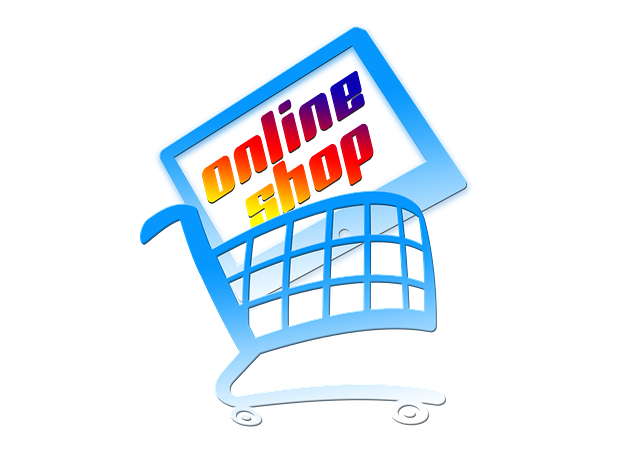 If you like buying from companies that provide a personal touch, this is your place. Why go anywhere else? Simply the best place to get quality towels at a good price. You can buy brand name stuff at a higher price, but why? Rob is the best and he's not a vendor, he's a team member. Great towels and even better customer service! Wow...the towels are better than I expected. I can’t even say enough about the customer service and thank you for the “extra” I received with my purchase. Truly above and beyond great service and products. Rob and crew have been phenomenal! From his quick replies to his advice on towels! Great! OH and can't forget the shipping and handling! Shipped same day within minutes! MINUTES!!!!! Excellent Experience Great products. Great customer service. Whether you're new to detailing or an old pro, Rob is there to fully answer your questions and point you in the right direction. Quick to respond, quick to ship, and quick to please. Thanks Rob! Can’t beat Towel Pros’ pricing AND service! I’ve placed 4 orders with Rob and Towel Pros. Three of them have been in the past two months. Every order was ha does and shopped promptly and each one had some freebies grown in. Rob has been great about answering any questions I’ve had along the way as well can’t beat great customer service AND great pricing! As a shop owner, I highly recommended them. Rob has some really informative videos that I checked out on his website prior to purchasing towels. Sometimes decisions can be tough sight unseen but his videos are definitely worth the time you take to watch them. His towels and prices more than reasonable being a professional shop I ordered them in bulk. Packaging and quality is excellent I am more than happy with the purchase that I made. Even the budget towels are better quality than the ones you get at the big box wholesale stores everything has a purpose and those towels are now limited to wheels the more one time use areas on cars like rockers and once we're done with wheels and rockers we use them for clean up rags after we're done. All the premium stuff we purchased at towel Pros gets taken care of separately with much greater care. I primarily purchased paint towels and glass towels. They are of exceptional quality the long pile edgeless light blue works phenomenal for ceramic coatings final buff. The 380gsm is our first leveling and buff towel. Glass towels leave steak free finish. The many color combinations available allowed me to order dedicated colors for dedicated functions never risking cross contamination of products with towels, every color has a specific job. I'm just been exceptionally helpful and ships out extremely fast. Impressive service like this will definitely want repeat business as well as my recommending him to any other professional. He is quick to reply to a question, if not by phone by email or text. If you happen to be in New Jersey I have a very good stock that I am willing to resell some of. Laz, Monster Coatings 973-983-7662. Great Product!!! These are the best drying towels I've used. Made my first order during an excellent sale, bought more than I should have, but, now I am glad I did! Good stuff and the customer service is the BEST! Amazingly fast order processing and shipping. We’re talking literally minutes if not seconds within placing an order I got an order AND shipping confirmation. That’s on top of the awesome towels. I really like the glass towels and that’s what I ordered. Price breaks for bulk orders is really a great thing too. Will buy again, highly recommend. This is by far the best place to get towels. Robert has the best customer service anyone could ever ask for. I will be a customer for life!!! Great products, excellent customer service, and fast shipping! My new go to for quality microfiber towels. Just got my first order from you! Thanks so much, I see why everyone buys from you. I'll be a returning customer. I was previously buying from another company that had quality towels but hefty price tags and only cared about quantity over quality. Quality Customer service and “getting what you paid for” is what I look for and Towel Pros have it! Placed an order on a Friday night around 10pm ET and Rob had commented on a post from Facebook about 15 Minutes later saying he was packing the order that instant and it would be shipped the next day. The Towels showed up Monday afternoon and I was super impressed with the quality of the towels. The “extras” in the package were an added plus to boot. I was so happy with the quality, price, customer service, shipping speed and overall experience that I ordered more towels (after convincing my wife) a couple of days later. This time there was a new extra in the bag, since rob and I had talked some more on Facebook about convincing my wife to let me order more. It was a waffle weave towel that my wife has rightfully claimed and I’m ok with that. I’m happy to finally get affordable, quality, non box store towels from a small business that cares about its customers and products. Towel pros is my new go to source for quality microfiber! Towels pictured are the gold edge less, 800gsm super towel, large waffle weave, true glass towels, microfiber mitts, and medium gray waffle weave. 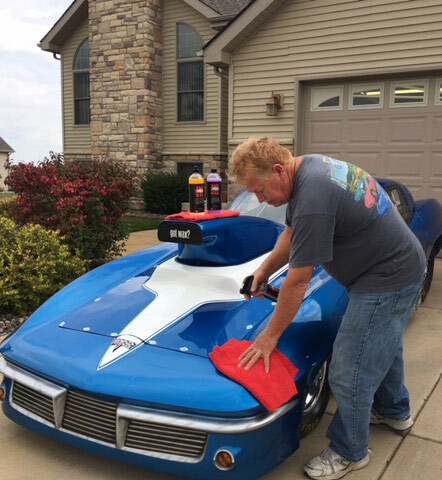 Rob at Towel Pros has been providing excellent detailing towels and other products since I started my business 8 years ago. I still have some from my first order! His service is beyond excellent and his prices are almost too good! Always gets the orders right and shipped out in no time. Highly recommended. Doug Cunningham from Absolute Shine Auto Spa, Sag Harbor NY. Great business! I’ve done business with Rob for years and this is a great business! Great products, great service and great people! Rob at Towel Pros is second to none! Not only is his towels top notch, so is the service! I've purchased 1000's of towels and have never had a single issue. Always excellent service when dealing with Rob. Answers any and all questions right away. I use to order from other companies but not anymore, you can't beat his prices. Plus he ships orders faster then anyone I know. Getting bonus towels is always a nice surprise too. I had asked about his new drying towel and he tossed one in my order for free to try out. The towels are of the best quality and Rob is stand up guy who adds a personal touch and goes above and beyond all expectations for his customers. And on top of that the price is amazing! This company has earned my repeat business. There aren't enough nice things to say about Rob at TowelPros. Not only is he a class-act when it comes to business, he's an incredible guy who is dedicated and cares deeply about the detailing industry and the people in it. If you're not buying from Rob, you need to be! This place has my business for life! Robert definitely went the extra mile on my order. Emails were responded to right now, no waiting or guessing if or when someone would get back to you. And to top it off, I didn't know he was the owner until the end of our conversation. I definitely appreciate the personal approach. I have to say, even if the towels aren't what I was hoping for, I trust he would find a way to make it right, just by the way he handled my first order. Professional. He made it work. Thank you Robert! Great company to do business with! Not only are they very knowledgeable about towels, but extremely vested within the professional detailing community. I highly recommend using TowelPros for your microfiber and detailing supply needs. Rob's not kidding. Received my towels in 2 days fro CA to MA. Towels are great, prices are great, now the shipping is great. Can't go wrong with Towel Pros.